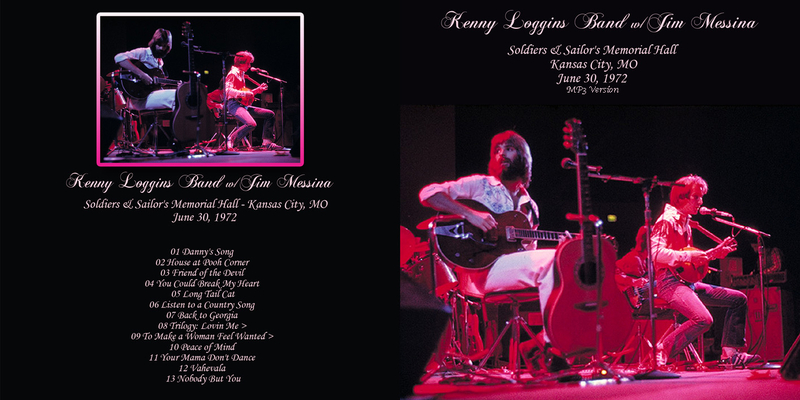 Live at Soldiers & Sailors Memorial Hall, Kansas City, Kansas, June 30, 1972. 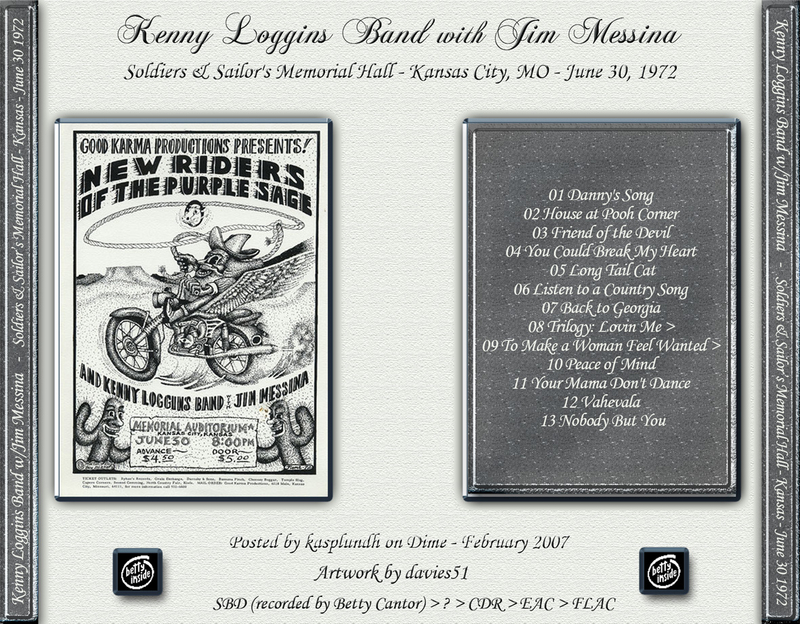 This is one of the earliest shows by Loggins & Messina properly recorded and almost complete, just missing minutes at the beginning. They were opening for The New Riders of the Purple Sage, hence a wonderful cover of Friend Of The Devil, a Grateful Dead-New Riders tune, not found on the official On Stage album released in 1974. 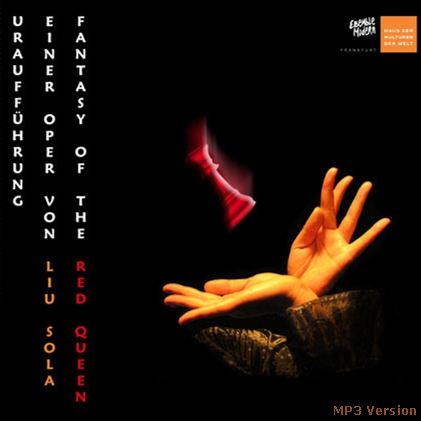 The atmosphere is relaxed and the recording is quite fantastic, uncompressed with the full dynamic range. No hiss. All the radio-friendly songs that made them popular are here - Dannys Song, House At Pooh Corner, You Could Break My Heart, the rockin Your Mama Dont Dance and the lengthy Vahevala. Hardly distinctive except for the 14-minute long Vahevala which served country with a Caribbean rhythm via the fiddle. Loggins & Messina wrote pop songs, from ballads to rockers that pleased radio stations, record companies and their fans. Wikipedia says "they are noted for popularizing the subgenre of Yacht rock, which soon became prominent in the 1970s." They basically gave a youthful friendly face to the fuzzy country rock of The New Riders Of The Purple Sage, The Nitty Gritty Dirt Band and their growly ilk. For the next four years, they released an album a year till 1977 when Loggins broke away to find a successful solo career - think Top Gun soundtrack. If "Yacht rock" is what we think it is, then this is one mellow sea cruise. Not a humpback whale in sight to prick your conscience. This recording has very little background tape hiss, is less compressed and much less distorted in the louder sections. Lineage: SBD 7.5 ips Nagra reel master recorded by Betty Cantor > PCM Beta tape digital copy. Thanks to grner1 for sharing this music. Never released before. Just a note to say thanks for the ongoing effort to surprise the hell out me with the selection of ROIOs! The Loggins & Messina '72 just introduced is a real treat. The liner notes are a bit condescending, but the show is great. Of course Betty Cantor, the long time Grateful Dead sound engineer, knew how to make a tape. There's a funny story associated with this performance of Friend of the Devil, a GD standard. 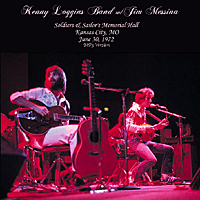 In this breakout performance Kenny Loggins misses quite a number of lyrics, but more importantly, he slows the tempo considerably from the bluegrass breakdown originally developed by Jerry Garcia and John "Marmaduke" Dawson of the NRPS. Deadhead legend has it that Garcia heard this recording of Kenny Loggins slower version and is said to have remarked "This makes a great ballad". Thereafter the Grateful Dead abandoned the bouncy rhythm of the American Beauty original and played it as a slow ballad for well over a decade until Jerry's death. Then there are those that say the change to the slower tempo was symptomatic of Jerry's heroin use, as he did the same treatment to a number of tunes, like They Love Each Other, Sugaree, and the later incarnations of St. Stephen. I think it was a bit of both. At any rate, thanks again for the tunes. I'm going to zone out with "Vahevala", the 14-minute jam where Logins and Messina actually sound a lot like the Grateful Dead. This is in re: Loggins & Messinas "Friend of the Devil" cover. Im not sure about the slowing down of the song being attributable to Jerrys heroin smoking, as it was in 77 or 78 he had his first hit of Persian Base and it seem to me I have a couple slower versions from before 78. I could be wrong. They did, however, restructure a LOT of songs when Mickey rejoined the band post-hiatus, as he was somewhat out of the loop on reading the others minds, so to speak. Id wager that this, along with Jerrys affirmation (alleged by David Dodd in The Annotated Grateful Dead lyrics http://arts.ucsc.edu/gdead/agdl/fotd.html#title) that he was inspired to slow it down after experiencing L&M playing it. On a semi-related note, I saw NRPS in the early 80s, and they broke out with FotD for what they sort of insinuated was the first time. He said, "Since I wrote a third of the song, I guess its about time the New Riders took a shot at this one!" In 1974, Loggins & Messina released On Stage a double LP that through a compilation of three different shows tried to recreate a complete Loggins & Messina show. Two shows were from 1973 and one from Winterland in April 1972. 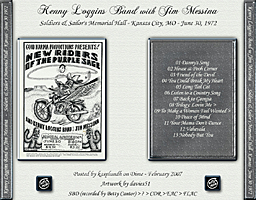 Click on the link to order the reissued CD by Loggins & Messina .